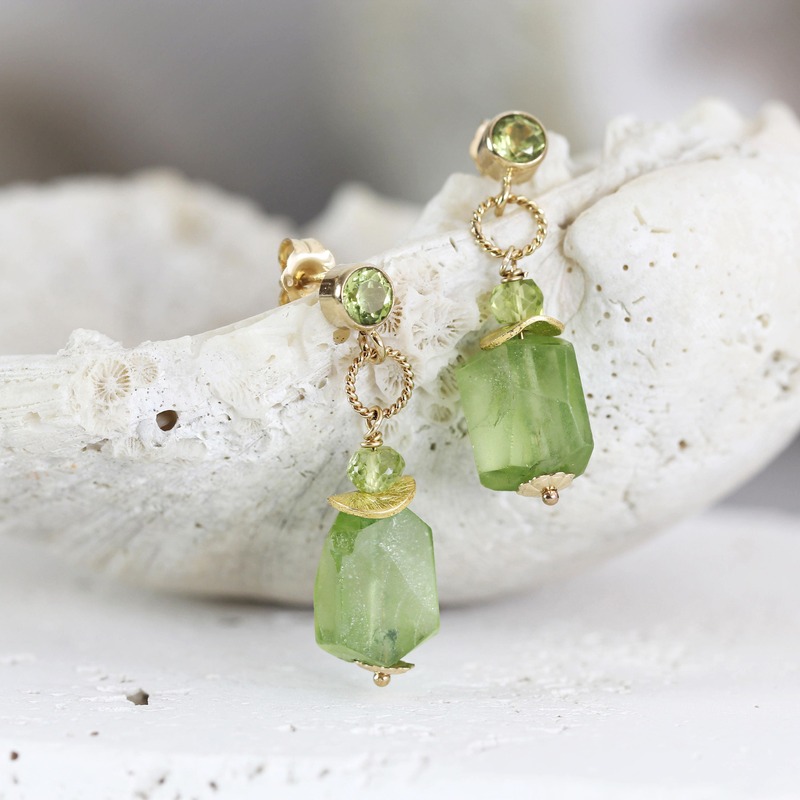 These raw peridot earrings have a gorgeous glow and will finish any outfit with a unique and elegant flair. 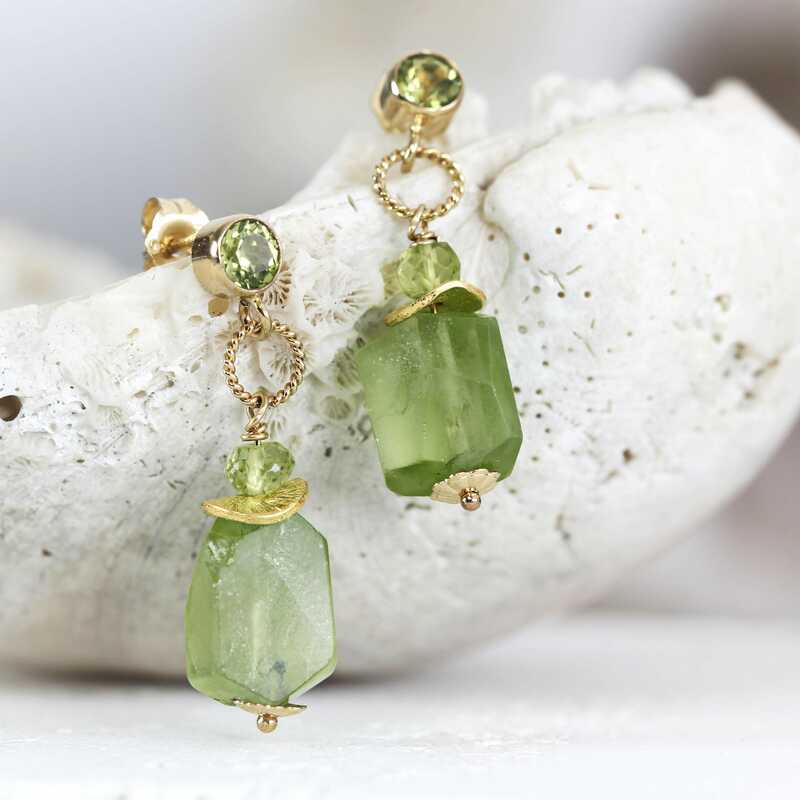 Handmade with the finest rough gemstones and 14k gold fill. 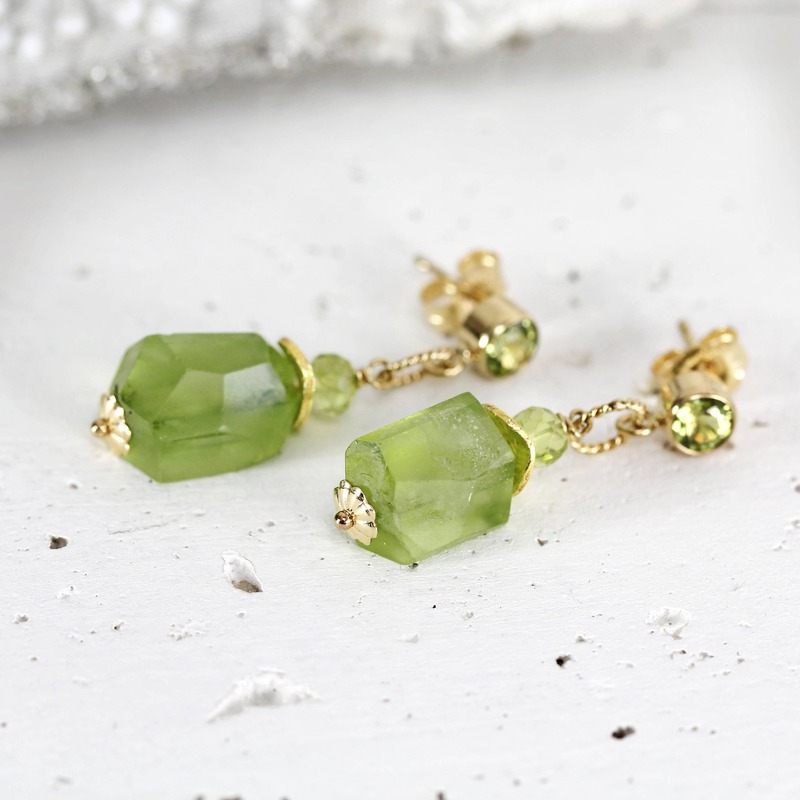 These glamorous drop earrings swing from 14k gold fill ear posts set with a 4mm sparkling peridot stone. 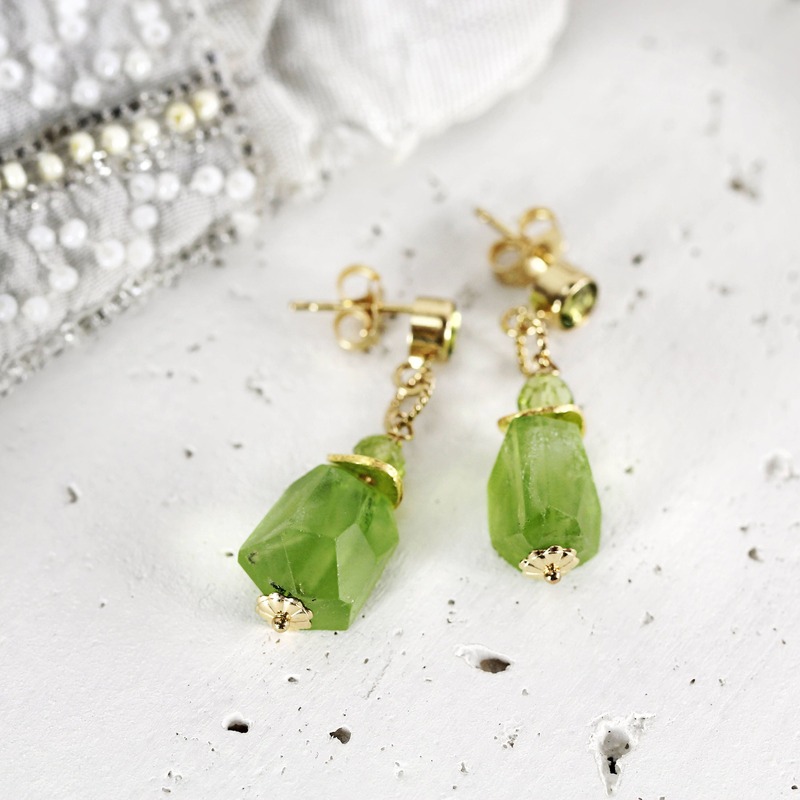 Measuring approx 2-2.5cm in total length, the peridot nuggets measure approximately 7-9mm on average. They have a great balance between raw-chunky and delicate-feminine. Very flattering! 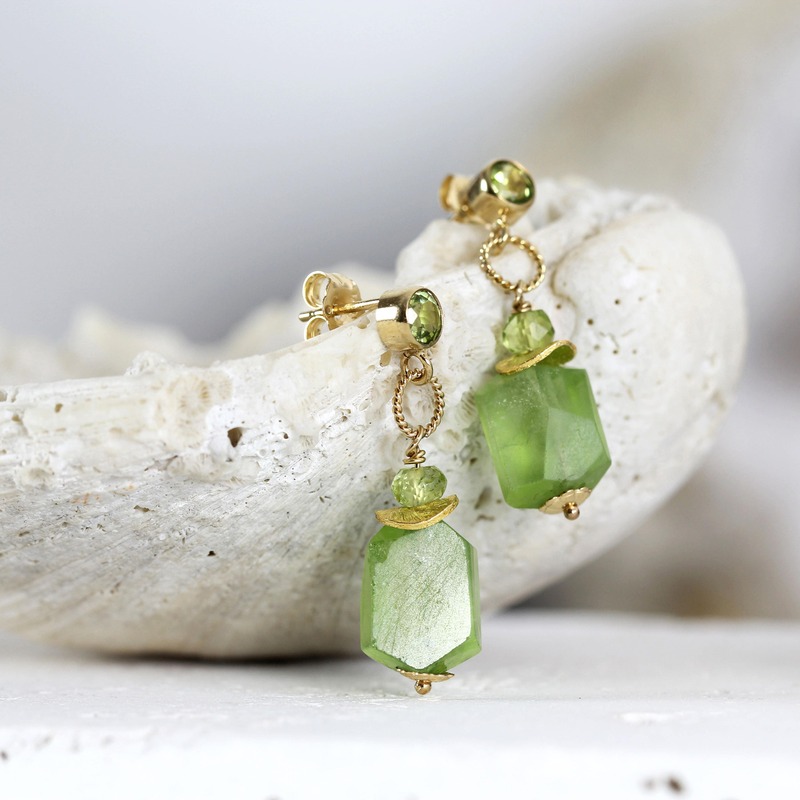 The chunky peridot nuggets are beautiful raw, rough nuggets - if you like green stones, then you will love these! Please do note that each stone is unique, and although similar in size, shape and colour, they are natural, rough stones and some have brownish inclusions and rough surfaces, as you would expect with raw stones. Often called the 'evening emerald', peridot is the national gem of Egypt, and jewellery historians now believe that the emeralds Cleopatra was famous for wearing, were not actually emeralds after all, but rather peridot stones from Egypt. 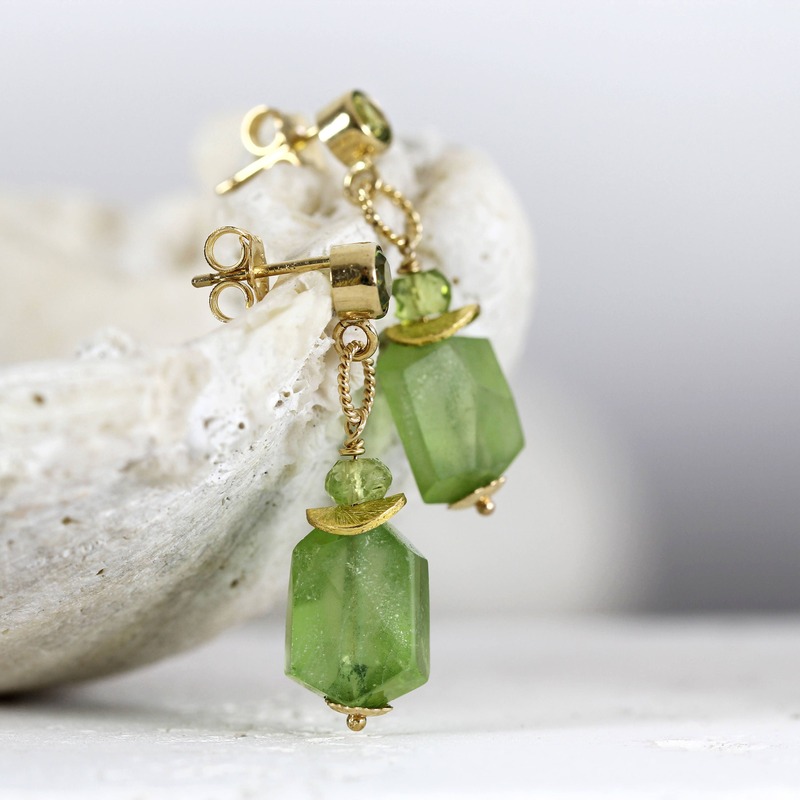 These green stone earrings make a gorgeous gift for a loved one - for mum, sister, wife or friend - for any occasion such as a birthday, a graduation, an anniversary or Valentines Day gift. 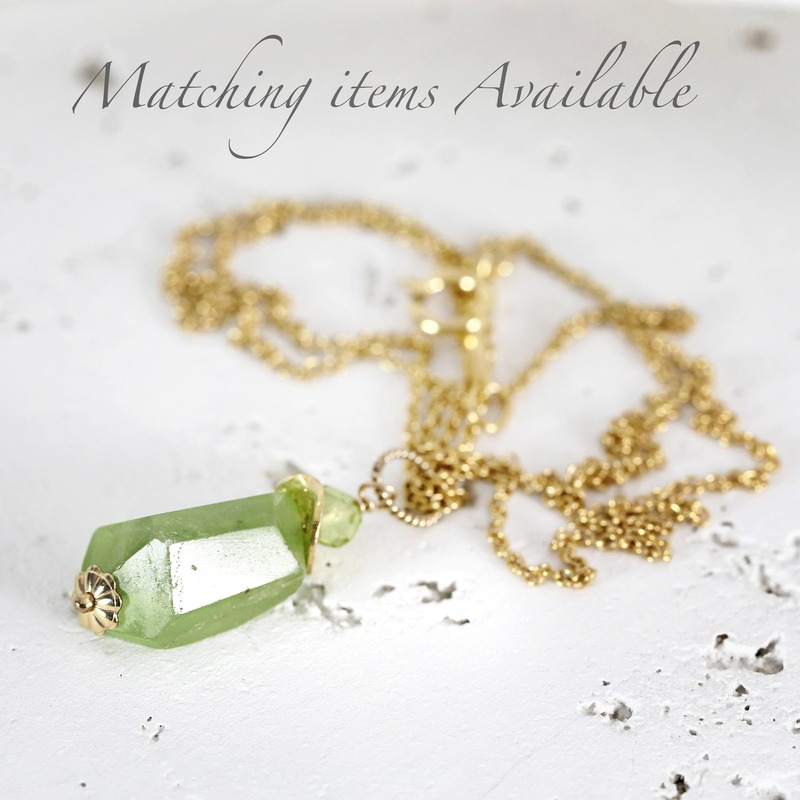 Ideal for those who like their style to be unique and elegant, and enjoy modern gemstone jewellery. * Earrings measure approx 30mm from top to tail. * Peridot nugget is approximately 10mm. Beautiful design, excellent quality, very helpful owner and all round experience. Would recommend to all.